A “Duck & Goose” inspired baby shower that my incredible girlfriends threw for me this past weekend was such a beautiful celebration of things our family holds dear. I had to share their thoughtfulness, and the wonderful ideas they came up with. Every detail was so intentional and felt like a big hug. They know me so well and put so much heart into every little bit of this special day. I hope you leave inspired by their thoughtfulness, talent and by their show of unconditional love and friendship. I am blessed beyond measure. Thank you to my Heathers for the gorgeous celebration! They had a “candy bar” filled with all my pregnancy cravings and sent me home with the extras. 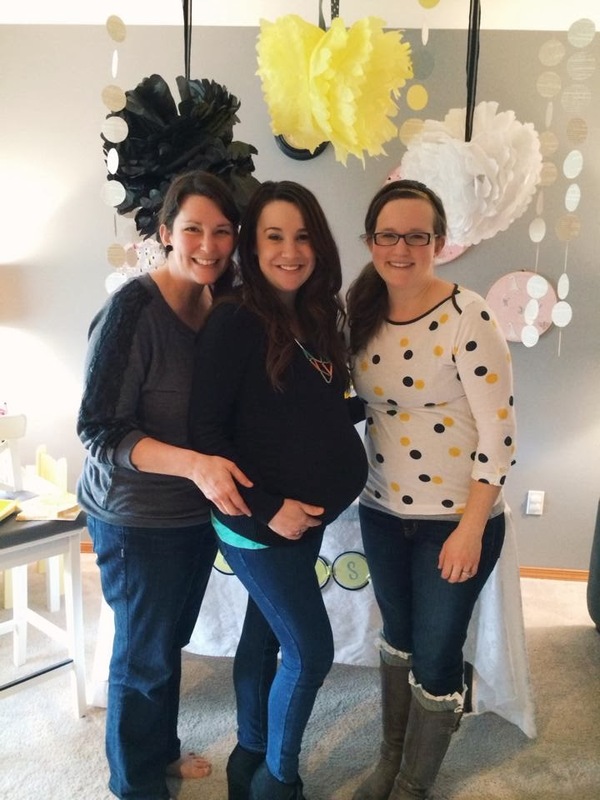 During my last pregnancy the Heather (on the right) threw us a co-ed shower with the theme “If you give us a baby we will celebrate!” all based on the “If you give a ______” stories by Laura Numeroff. We ate muffins, pancakes, and cookies just like Numeroff’s main characters the moose, pig, and mouse. This shower was based off of the Duck and Goose books by Tad Hill. Guests were encouraged to pick a book to give our sweet New Baby boy instead of a card and the hostesses used old fashioned library card book plates for the guests to write their inscriptions on. 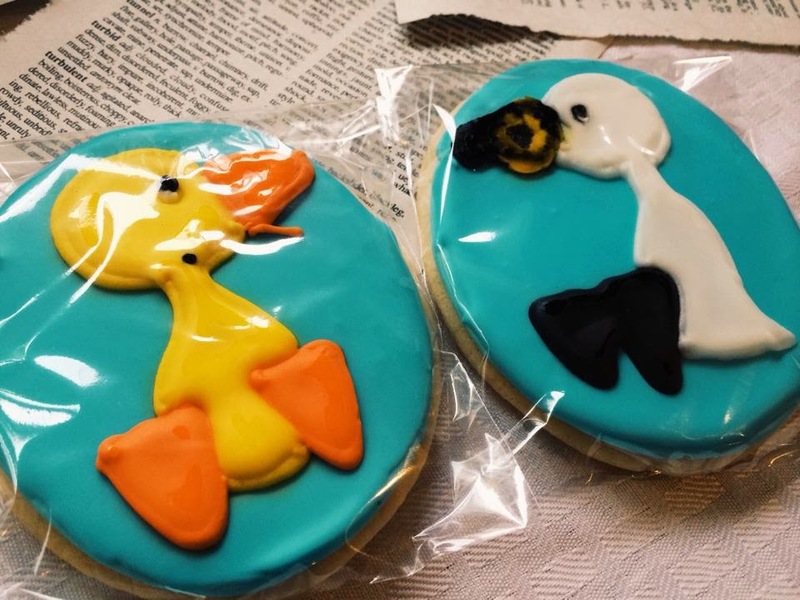 These amazing cookies were designed by Sugar Studios – whom we turn to for all our special events! Book pages adorned the tables as runners, served as adorable pennant buntings, and the background for the floral arrangement “abc’s.” We are ABC – Alex, Ben, and Cashel. 🙂 The hostesses also made a beautiful ABC book for us that has a Scripture attached to each letter and guests took turns reading the verses aloud. My sister and brother in law also designed book marks for guests to take home that they could place strategically in their Bible, on the fridge or just about anywhere as a reminder to pray for our growing family. And of course no party has even begun without FOOD! Delicious food is a must if you ask me, and these ladies far exceeded that with so many delicious brunch foods including my Mom’s famous Honeymoon Hotcakes that she made to order! Chocolate covered strawberries; vanilla Greek yogurt parfaits with granola, chocolate, blueberries, & raspberries; coffee cake; and hash brown quiche… Makes my mouth water just typing it up! 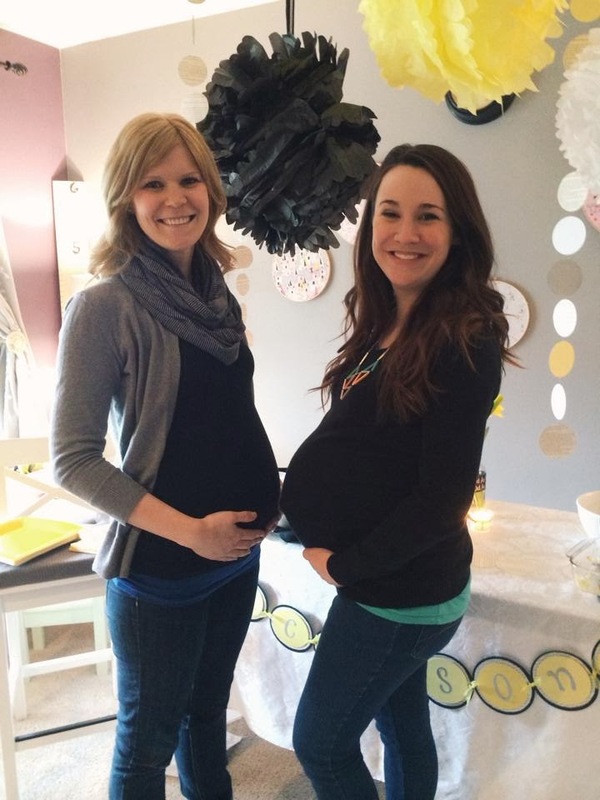 It was also so much fun to celebrate with so many ladies who are due with their own little ones right after mine! There were 3 of my dear friends all expecting, including my sister-in-law who is due with my first niece in May. Hard to believe we are only two months a part. Fabulous ideas.. These ideas truly inspirational to plan a perfect kids parties. I love the theme of your post. Thank for this interesting post.